Here comes the IJOY Wand 100W Starter Kit with Diamond Tank. 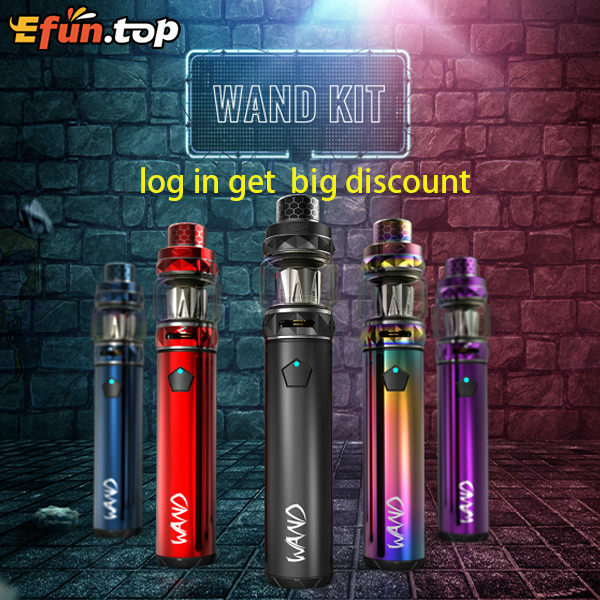 IJOY Wand 100W Pen Style Kit is design as a ergonomic and compact kit with IWEPAL control chip to provide vapers various protections such as short-circuit protection and low power protection. IJOY Wand Mod is powered by a large 2600mAh built-in battery and maximum output can be reached to 100W offering you great vaping experience and satisfy almost vaping needed. It features a personalized pentagonal fire button with 2 color indicators, representing various working conditions. 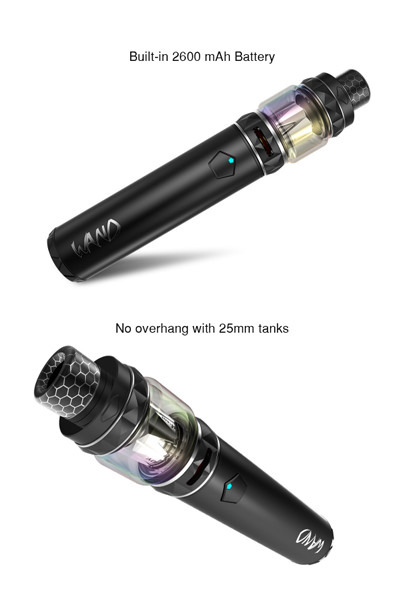 Included IJOY Diamond Tank supports large 5ml e juice capacity by bubble glass tube and can be easily changed to 4ml by extra glass tube in package. Diamond Tank adopts IJOY's innovative coils for dense vapors and pure flavors: mesh coil with unform heating characteristics - 70% flax fiber and 30% wood pulp to wick; diamond-like coil with uniform heating characteristics - organic fiber cotton.